Powerful vocals. Amazing slide guitar. 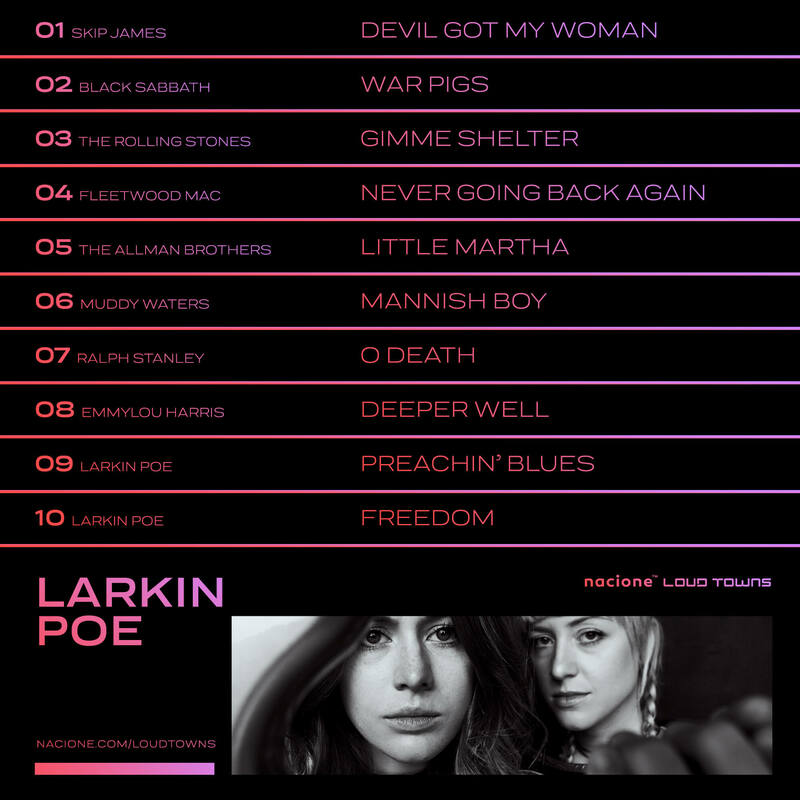 Larkin Poe is the hope for those who trust in Rock and Roll the way we know it: strong, amazing and with a southern spice. 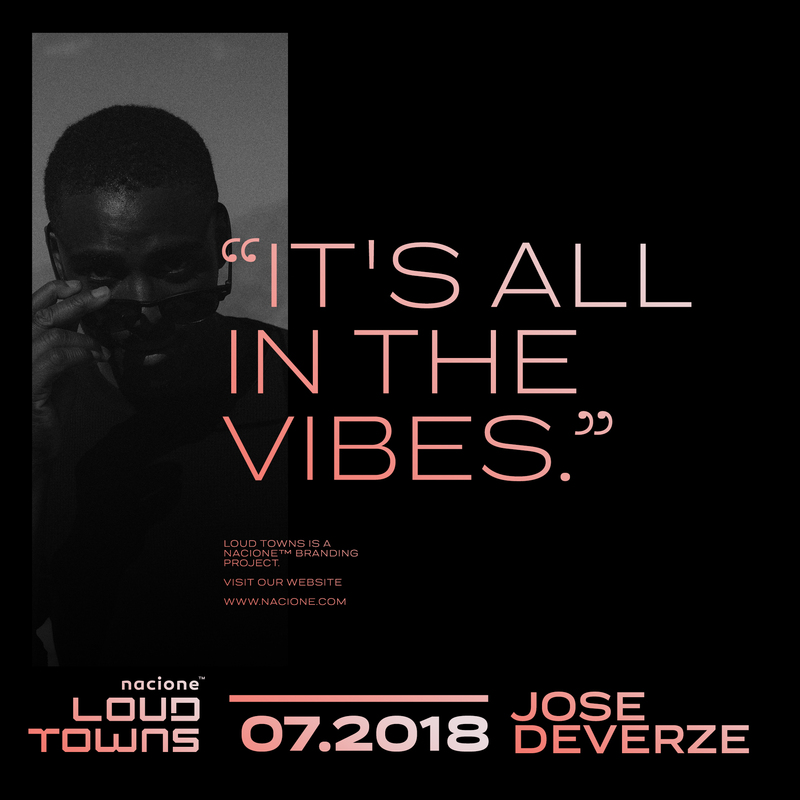 Loud Towns is a project to talk about musical inspiration. About past, about future. 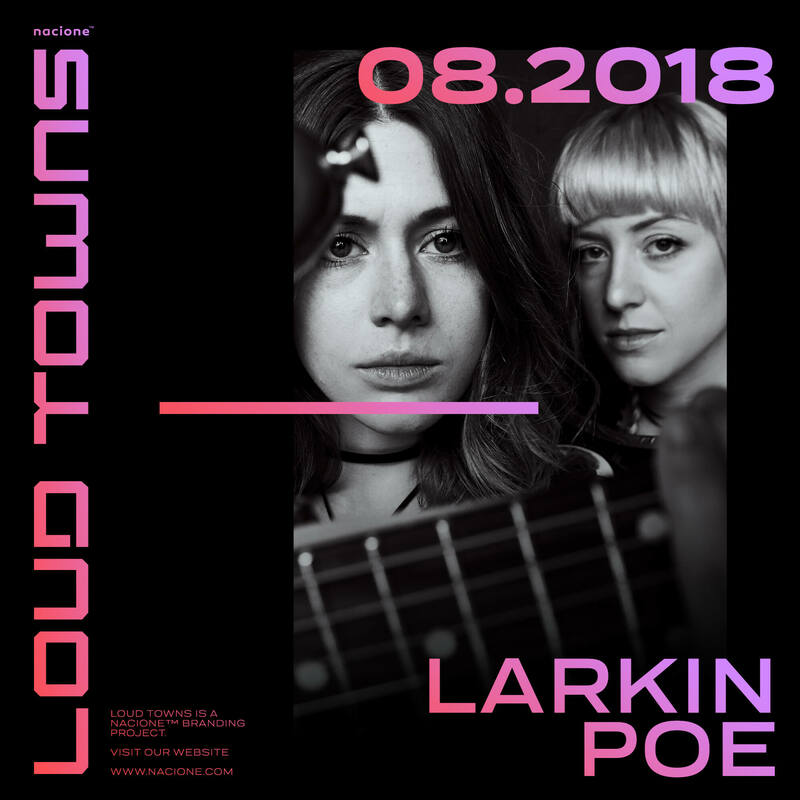 Larkin Poe is a brand-new voice for Rock n’ Roll with passion and a lot of experience in their music. They have the energy that rock needs nowadays. We want to know more about their creative process and how the city they live in can influence their music. 01. Talk about your inspirations to create music. Who are your idols, your heroes, and also what in the world is the best thing to activate your creativity. There is some influence from other music genres? We’ve been falling in love with music since we were three and four years old; as pre-teens, we idolized roots and Americana legends such as Alison Krauss, Dr. Ralph Stanley, and the Dixie Chicks. Our dad, meanwhile, was spinning classic rock records for us: Fleetwood Mac, The Allman Brothers, Black Sabbath, and Neil Young. Since then, we’ve always found ourselves listening and drawing from a wide spectrum of artists. Over the last few years, we’ve been digging deeper and deeper into the Delta and Hill Country Blues traditions: Skip James, Muddy Waters, and Robert Johnson (to name a few) have been singing to our souls! Music begets music! Going out and experiencing an amazing live show, listening to an inspiring new record, or picking up a fun new instrument - these are all keys in the creative lock. You’ve got to keep it fresh. 03. The music industry nowadays is now way different from the past. What is the best thing about today and the worst? As artists, especially independent artists, we’ve learned to roll with the punches of an ever-changing industry. From our perspective, one of the beautiful things about today’s music industry is the direct connection that artists are able to share with their fans via social media. For the past year and a half, we’ve established thousands and thousands of new fan relationships through our ‘Tip O’ The Hat’ YouTube video series. It’s been an exhilarating experience to e-connect with new folks all across the world and then, as tour schedules allows, to meet them out on the road at live shows! 04. What is the connection between the music you produce and the city in which you live in? Is there any connection between them? Being born and raised in the South has certainly influenced our music. We feel so lucky to have grown up surrounded by and steeped in the source music of the south - blues, bluegrass, folk - our foundation starts there and branches outward. These days we call Nashville home and talk about a rich musical heritage! There’s such a strong music scene in Nashville, an overwhelming number of incredibly talented musicians, producers, and engineers, all pushing each other to be better. We’re inspired. 05. Does any other city inspire your music? 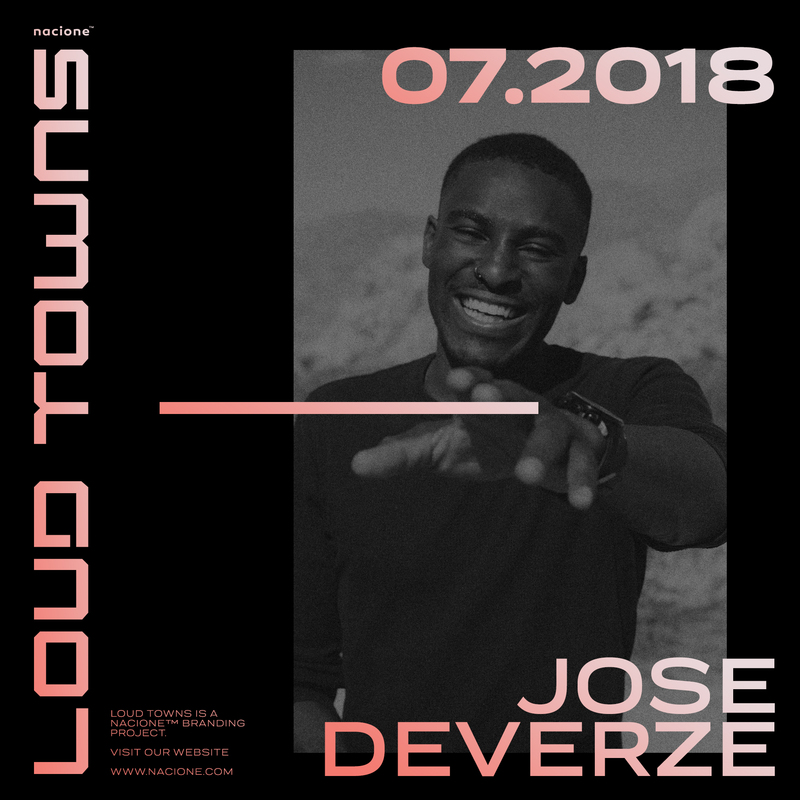 How does the city’s musical scene contribute to the creative process? We’ve recently been spending time in Cleveland, Mississippi and have so enjoyed learning more about the birthplace of the blues. We visited Dockery Farms and got to hear stories of the legends cutting their teeth on the blues - Charley Patton, Son House, Howlin’ Wolf, Robert Johnson; we could feel we were walking on hallowed ground. Truly inspirational and those memories are finding their way into our new songs. 06. For you, what is the power of music? Music is the language of the world; we use it to express our sadness, our joy, our triumph, our trials. Nothing brings people together more than music. When we play for an audience there’s a feeling of connectedness like nowhere else, a shared experience, a shared emotion. It’s a powerful thing. 07. Explain the reason why you selected these songs in your playlist. 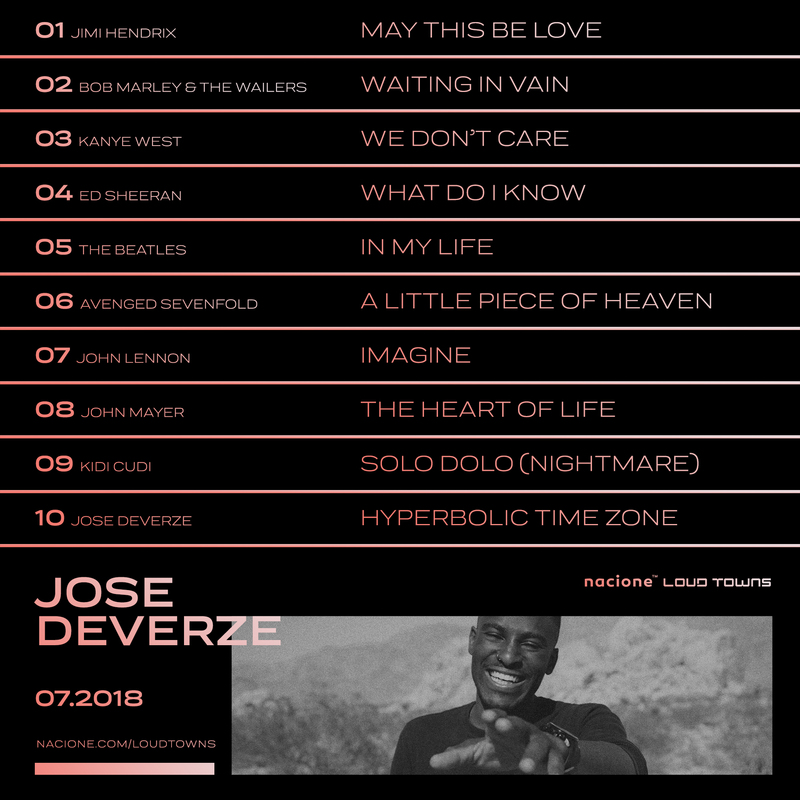 This is a collection of songs that have moved and inspired us at some point in our musical journey; all of these songs are very near and dear to our hearts. 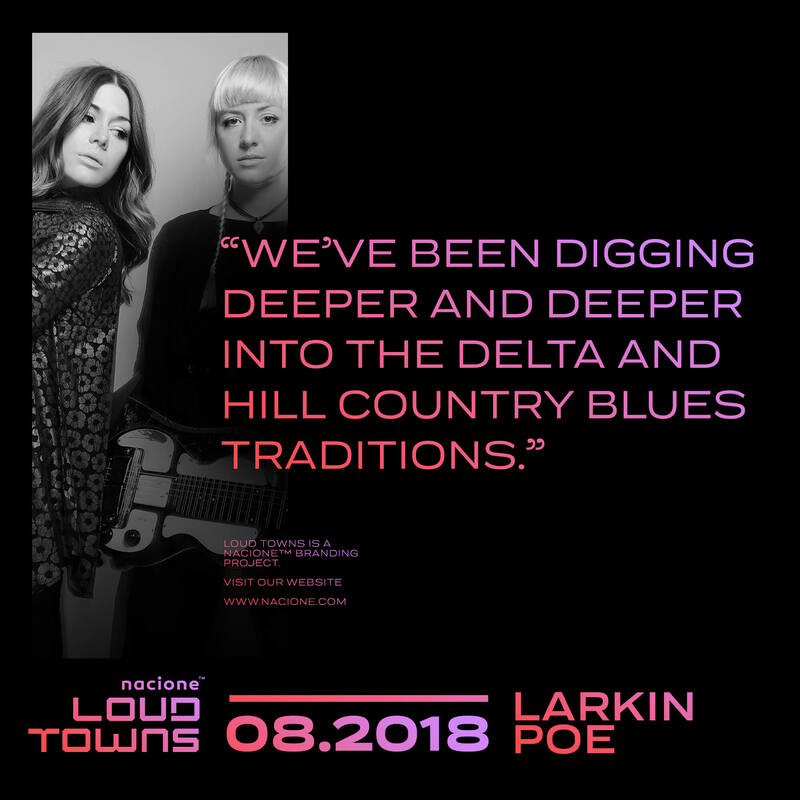 "We’ve been digging deeper and deeper into the Delta and Hill Country Blues traditions."